The West and Central African Council for Agricultural Research and Development (CORAF) was created in 1987 to “improve the efficiency and effectiveness of small-scale producers and to promote the agribusiness sector.” As Africa’s largest sub-regional research organization, CORAF works with 23 national agricultural research systems in the Sahelian, Coastal, and Central regions of Africa to improve the agricultural research and economic growth in the sub-region. CORAF focuses on developing innovations to sustainably improve agricultural productivity and improve the efficiency of small farmers, placing agricultural producers and users at the center of its research. 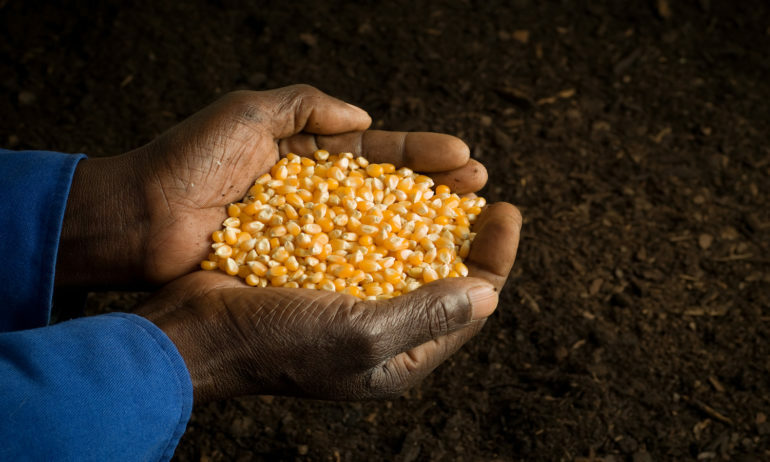 CORAF’s key research programs focus on increasing farmer access to information on food and farming systems, knowledge and capacity sharing, natural resource management, markets and trade, climate change adaptation, and biotechnology. The organization broadcasts videos highlighting the progress and challenges of community and regional agricultural projects while helping farmers share research, innovations, and technical practices with other stakeholders. Its videos report on regional agricultural conferences and help give farmers the opportunity to feature the products they grow—such as sweet potatoes (patates douces), dried mango (mangues séchées), and rice (riz). The organization has produced close to 200 short films (with more than 500,000 views on YouTube) featuring farmers who achieve advances in agricultural productivity and sustainability in their communities. In 2007, CORAF developed a strategic plan covering the period 2007-2016 to coordinate and guide the organization’s many programs and activities. The Strategic Plan aligns with the vision established by the African Union’s Comprehensive Africa Agriculture Development Program (CAADP), which had the goal of achieving an average of six percent annual agricultural growth by 2015. In 2014, the African Union extended this mission, setting a new goal of doubling agricultural productivity by 2025. CORAF is one of the leading organizations working to achieve this goal in West Africa. Spanning a region home to approximately 424 million people, about 70 percent of whom live in rural areas, CORAF is working to create long-term, sustainable improvements in agriculture and eliminate food insecurity in West Africa. This news story is cross-posted from the Food Tank website. CORAF and Food Tank are a Partners in GFAR, who work together to strengthen and transform agri-food research and innovation systems globally. Not a GFAR partner yet? Join now!